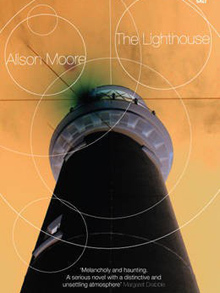 My third book of the Man Booker Prize shortlist is The Lighthouse by Alison Moore. This is one of those novels where you feel as though every event, no matter how small, is loaded with significance; every word may have a secondary meaning and must be weighed and pondered. It is a novel which engages all the senses, being loaded with smells, tastes and textures as well as the more pedestrian novelist’s tools of sight and sound. The book seems to wrong-foot the reader from the start with the protagonist’s name, Futh (I spent a while trying to decide if this was a Christian name or a surname; eventually I decided on surname as his father was a teacher referred to as ‘Mr Futh’). Incidentally, Urban Dictionary says that ‘futh’ is a lie that sounds true – a contraction of ‘false truth’, which might have some interesting connotations for the novel.The plot moves quite slowly at first, as Futh sets out on a journey to take a walking holiday, but everything sparks memories in him, and we quickly come to realise that he has been emotionally damaged by his childhood, and, later, his wife leaving him. (You will spot here some parallels with The Unlikely Pilgrimage of Harold Fry, particularly in the way that the process of walking brings up memories long repressed). He carries with him a small silver lighthouse, which used to house a perfume vial that belonged to his mother, and previously, his father’s family. This, and his job creating artifical scents, signify the importance of smell in this novel, partly as a way of evoking convincing memories, which it does very well. He arrives at a hotel, Hellhaus, which, as he explains, means ‘Bright house’ or ‘Light house’ (because it is painted bright white), but its English connotations (hellhouse) are also redolent with meaning. Though Futh doesn’t stay there long, the reader is returned to this place, which is anything but light: as a place, it is dark, filled with twisted emotions and sadness. Just as Futh walks a circular route, which should return him to Hellhaus, his memories also seem circular, returning to the same incidents, with a little more detail each time as his miserable childhood and attempts to make reparation unfold. The ambiguous ending seems to complete the circle, but leaves questions for the reader to ponder. This ordinary, quiet man, Futh, with his apparently mundane life, will be memorable for his emotional journey; the book will be memorable for its calm, restrained and evocative prose style and its depiction of how a life inexorably moves on. It didn’t have the narrative thrill of some of the other books I’ve read lately, but it’s a slow-burner which hangs around in your mind afterwards.